The grid-based, column-oriented, Vertica Analytics Platform is designed to manage large, fast-growing volumes of data and provide very fast query performance when used for data warehouses and other query-intensive applications. The product claims to drastically improve query performance over traditional relational database systems, provide high-availability, and petabyte scalability on commodity enterprise servers. Standard SQL interface with many analytics capabilities built-in, such as time series gap filing/interpolation, event-based windowing and sessionization, pattern matching, event series joins, statistical computation (e.g., regression analysis), and geospatial analysis. Support for standard programming interfaces ODBC, JDBC, and ADO.NET. Real-Time Query & Loading »Capture the time value of data by continuously loading information, while simultaneously allowing immediate access for rich analytics. Advanced In-Database Analytics »Ever growing library of features and functions to explore and process more data closer to the CPU cores without the need to extract. Database Designer & Administration Tools »Powerful setup, tuning and control with minimal administration effort. Can make continual improvements while the system remains online. Columnar Storage & Execution »Perform queries 50x-1000x faster by eliminating costly disk I/O without the hassle and overhead of indexes and materialized views. Aggressive Data Compression »Accomplish more with less CAPX, while delivering superior performance with our engine that operates on compressed data. 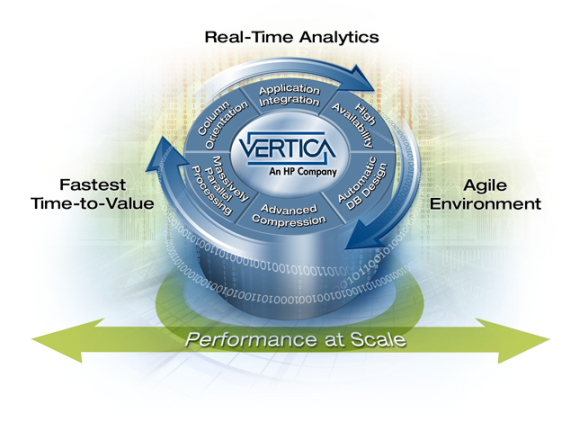 Scale-Out MPP Architecture »Vertica automatically scales linearly and limitlessly by just adding industry-standard x86 servers to the grid. . . . .
Automatic High Availability »Runs non-stop with automatic redundancy, failover and recovery optimized to deliver superior query performance as well. . . . .
Optimizer, Execution Engine & Workload Management »Get maximum performance without worrying about the details of how it gets done. Users just think about questions, we deliver answers, fast. Native BI, ETL, & Hadoop/MapReduce Integration »Seamless integration with a robust and ever growing ecosystem of analytics solutions. to revert to a previous version of the software. 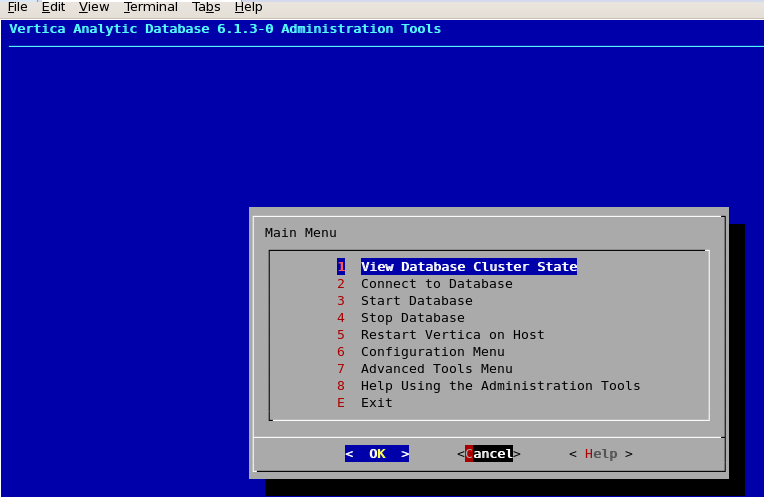 Upgrading admintools meta data format..
Getting system information for cluster (this may take a while)…. CPU frequency scaling is enabled. This may adversely affect the performance of your database. Verifying spread configuration on whole cluster. ** The installation modified the group privileges for dbadmin. need to logout and login again before the privileges are applied. Now login as dbadmin and accept the license agreement ! Once after that now a window will appear, using which you can create & configure Vertica DB. After Database creation you can see the below Interactive window for Regular operations !